Unique birthday gifts for your beloved lion or lioness ! 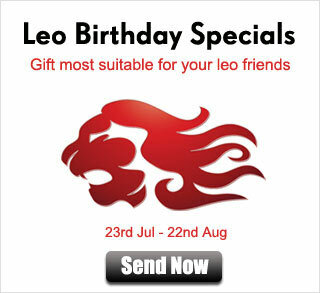 The Leo type is the most dominant, spontaneously creative and extrovert of all the zodiacal characters. They are ambitious, courageous, dominant, strong willed, positive, independent, self-confident. Orange and gold are the colours they are ruled by. Gifts for leo’s tend to center around luxury. They are the big-spenders of the zodiac. They’re generally broad-minded and they make loyal and loving friends.